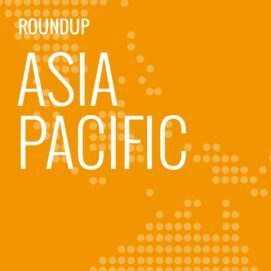 In this weekly segment, ExchangeWire sum up key industry updates on ad tech from around the Asia-Pacific region – and in this edition: Zenith unveil global rebrand strategy; TPG revise offer in Fairfax takeover bid; Times Internet take on Moat for viewability; Aussies going sporty on mobile; Taptica open Mumbai office; China’s iResearch launch mobile video measurement tool; and Sling & Stone swing into New Zealand. The agency group have launched a new “global brand vision and identity” that they say aimed to combine data, technology, and skillsets to help clients resolve challenges. Called ‘ROI+’, Zenith said the new strategy focused on business transformation to generate higher returns, improving the complete consumer journey, and process automation such as machine learning. The rebranding, which included a new company logo, was developed alongside executive leads from Zenith’s key global markets such as China, UK, and Germany. TPG Capital have raised their takeover offer for Australia’s Fairfax Media, dishing out AUD$500m (£286.3m) more and broadening the sale to include the entire organisation. The US-based private equity firm revised their offer to AUD$2.76bn (£1.58bn), from their previous offer of AUD$2.2bn (£1.26bn), but which had included only some of Fairfax’s businesses, including their real estate advertising arm, Domain, media titles Sydney Morning Herald, The Age, and Australian Financial Review, as well as events and digital ventures business units. The Indian publishing platform have inked a partnership with cloud-based analytics vendor, Moat, to offer the latter’s third-party measurement and analytics services to marketers and other publishers. The agreement would see Moat’s viewability and attention measurement tools integrated with Times Internet’s marketing platform, Colombia Audience Network, offering marketers insights on their campaign performance. 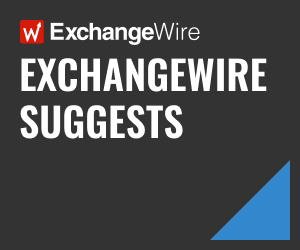 According to Times Internet, their marketing platform served personalised content and video recommendations to 250 million users, delivering more than nine billion native recommendations per month. The integration of Moat’s tools would provide metrics and analysis of video campaigns running across the Indian publisher’s platforms. Moat’s CEO and co-founder Jonah Goodhart noted that India’s average daily time spent on TV had fallen by 1.3% since 2010, while time spent online had grown four-fold as mobile internet infrastructure continued to grow. “It’s a big opportunity for marketers”, said Goodhart, who was citing figures from Zenith’s 2016 Media Consumption Forecasts. “As they take advantage of behaviour trends, measurement will be the key to understanding the impact of brand advertising and will help the market move away from spending on ads that were never seen”, he said. Australians are heading online in search of sports-related content and, increasingly, doing so on smartphones and tablets. Some 11.2 million visited online sites related to sports in March 2017, an 8% increase over the previous month, said IAB Australia, citing numbers from Nielsen Digital Ratings. Average time spent consuming such content also grew 64%, with 6.9 million doing so on desktops. Another 5.4 million watched sports content on smartphones, while three million took to their tablets. The two mobile platforms saw significant growth, IAB noted, with 28% more consuming sports content on their tablets in March over February, and 14.82% more did so on their smartphones. In comparison, desktops clocked a 5.71% growth over the same period. Smartphone consumers also spent more time watching sports on their device than their desktop counterparts, clocking over two hours each on average compared to an hour, respectively. Nielsen’s head of media, Monique Perry, added: “Australians are increasingly accessing content online via mobile and other connected devices, and sport is certainly no exception. The end result is that more Australians have an opportunity to access sports content, whether via a TV screen in their home or via a smartphone while out and about – there is no longer a risk of missing scores or not accessing the latest sporting news. “This also means more opportunities for brands and advertisers to reach and engage the Australian sports enthusiast”, Perry said. The mobile ad vendor are eyeing India’s burgeoning market with a new office in Mumbai, which is headed by their new India and Southeast Asia general manager, Rajesh Fatnani. 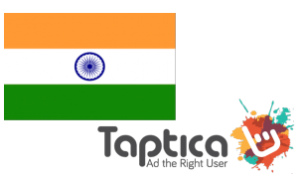 He added that Taptica would be looking to help advertisers tap the country’s growing mobile sector as well as rope in partners to tap the local market. Alongside their Mumbai launch, the ad tech vendor also opened an office in St. Petersburg, Russia. Shanghai-based marketer analyst, iResearch, have introduced a mobile video measurement tool that is touted to support multiple platforms. Called mVideoTracker, the new product tracked data from local telecommunication operators covering 31 provinces and municipalities across China. This was a significant improvement from the company’s desktop video measurement tool, iVideoTracker, which was based only on sample data, said iResearch. The new mVideoTracker tool also could operate alongside iVideoTracker as well as the upcoming oVideoTracker, which was scheduled to launch later this quarter, to provide cross-screen video monitoring across desktops, mobile devices, and over-the-top (OTT) applications. iResearch added that the new mobile content monitoring tool supported several video formats, including H5, and offered four big data analysis functions aimed at helping advertisers assess the value and popularity of video content. These included weekly and daily ranking lists of videos and viewer groups, media content analysis across genres, and viewing time analysis. The PR agency are heading to New Zealand, seven years after setting up base in their domestic Australian market. The new office in Wellington would mark their first overseas expansion and would be headed by Marija Bijelic, who was relocating to the city where the Wellington Regional Economic Development Agency were among the agency’s clientele.